Seward and Nebraska City will host “World War I: Legacies of a Forgotten War” next June. Presented by Humanities Nebraska, the free, four-day Chautauqua festival of entertainment, historic presentations, exhibits, youth camps, and more will be held in Seward June 15-18 and in Nebraska City June 21-24. Historic scholars will appear as key WWI figures to discuss how the War led to changes in America’s role in international relations, its impact on race, gender and class issues, and how technology shaped the War. These include President Woodrow Wilson, Nebraska politician William Jennings Bryan, humanitarian Jane Addams, author Edith Wharton, and sociologist/activist W.E.B. DuBois. During that four-day event, educational workshops and activities will be held during the day, and a Chautauqua youth camp will encourage youth ages 10-14 to learn more about the local impact of the Great War on their community. The youth will portray local historic figures on the Chautauqua stage the evening of their final day at camp. Audiences will gather each evening to enjoy local music or theatrical entertainment, followed by a presentation by one of the Chautauqua scholars, moderated by Woodrow Wilson. Following the 40-minute presentation as his or her historical figure, audiences will be invited to ask questions of the scholars, who will answer first as their respective historical figures and then as themselves. This will be the first time Nebraska City has hosted Chautauqua in the 33 years since Humanities Nebraska revived this traditional gathering where people from smaller cities and rural areas enjoy themselves while learning. The original Chautauqua were a popular activity around 1880-1920. Seward last hosted a Chautauqua in 2000. 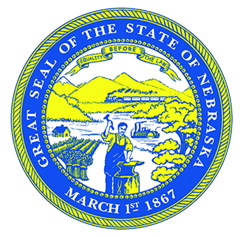 Chautauqua is made possible by the Nebraska Cultural Endowment and many other generous donors, state and local sponsors, and volunteers. “World War I: Legacies of a Forgotten War” will be brought to Seward by the Seward Arts Council and the Seward Foundation , along with many other contributors. It will appear in Nebraska City thanks to Peru State College and Nebraska City Tourism & Commerce and many other contributors. The complete schedule of all speakers and events of this Chautauqua, as well as a reading list and more, will be available at www.NebraskaChautauqua.org after the first of the year. Look for more information at http://humanitiesnebraska.org/program/chautauqua/ and find additional updates and information by following Humanities Nebraska on Facebook, Instagram, and Twitter.